Royal Bank of Canada (RY.TO) introduced a wave of technology initiatives in a bid to attract more tech-savvy customers who embrace a digital lifestyle. 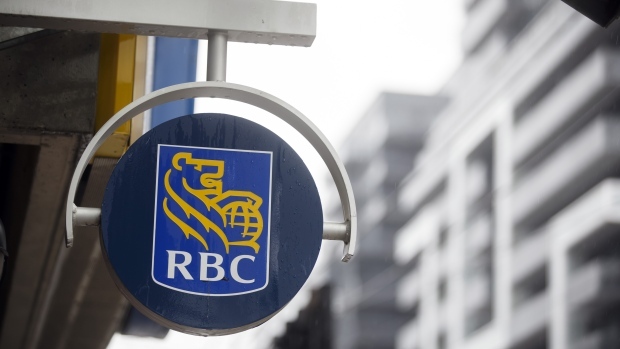 RBC plans to spend $3.2 billion this year on technology -- including artificial intelligence, digital products and social media -- and use the tech push to woo more than 2.5 million new Canadian banking customers by 2023, the bank said Wednesday at an investor event in Toronto. The lender identified a wide range of initiatives and expectations for its Canadian banking and wealth businesses for the coming years. Among its targets, the Toronto-based company set a goal of adding clients at up to three times its current rate. Royal Bank already holds a dominant position in Canadian banking: It has No. 1 market share in personal loans, credit lines, mutual funds, business loans and deposits, while it’s second in credit cards and deposits. "Our story is, how does the market leader grow?” Chief Executive Officer David McKay said at the event. RBC shares have dropped 2.4 per cent this year, while its closest rival Toronto-Dominion Bank has climbed 3.3 per cent. Digital offerings under the bank’s new RBC Ventures unit include a platform for entrepreneurs starting a business called ‘‘ownr,’’ a mobile app for car owners called “Drive’’ and a financial-advice app called ‘‘finfit.’’ The bank has 6.5 million "active" digital users, which is 8 percent higher than a year ago. “There has never been a greater opportunity to connect with Canadians," McKay said. The bank anticipates more than $1 billion in accumulated cost savings by 2023 through increased automation and system consolidation. RBC sees $1.9 billion of revenue growth from rising interest rates, with about $1.4 billion in incremental net interest income in Canada by 2021, versus US$400 million in the U.S. in that period.